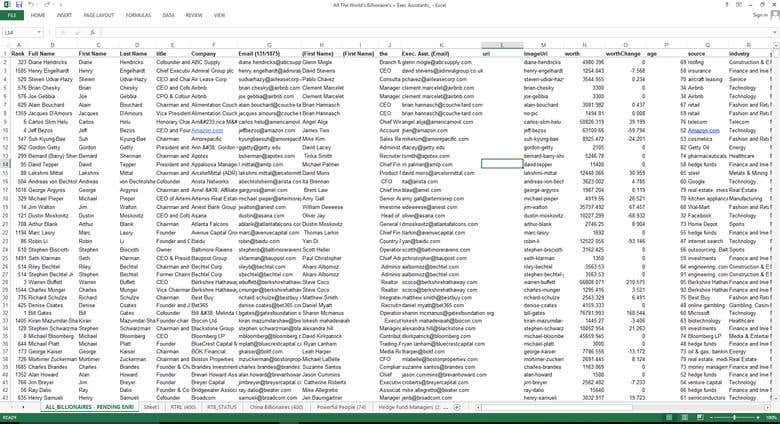 Project Description Fill in a Spreadsheet with Valid Emails based on First Name, Last Name, Facebook Page and Website Fill in my Google Sheet with valid emails. You will need to manually look up the emails and validate them for each person. You must have experience with researching for people's emails and the ability to use many of your own tools to find them, such as FullContact, LeadIQ, Datanyze, or some other tool you may use. You may be able to find valid personal emails on their website or linkedin or somewhere else, the goal is just to get personal emails for targeted people. Project will be billed on a per email basis, $0.10 per valid email. Will provide a sample for you to prove your ability before awarding. If you can do this job well, there is potential for long term-partnership with my b2b lead generation startup. We have high demand for large number of jobs like this.